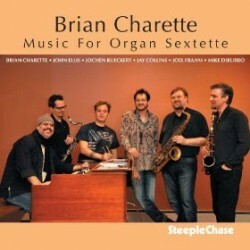 Brian Charette’s new album is Music For Organ Sextette (Steeplechase, 2012). In this interview, Charette talks about studying kung fu and how it affects his music; getting called for his first organ gig — on the same day his first organ arrived; establishing a career in more than one country; and finding non-standard ways to write for an organ band. Learn more at kungfugue.com and follow him on Twitter at @pinchbrian.